Learn more about AVS for the UK and Germany. Last year, we opened AVS to all US-based developers, enabling them to integrate Alexa into any connected device that has a microphone and speaker. We’ve been amazed by the number of Alexa-based Raspberry Pi projects shared by the developer community over the last 12 months, as well as the exciting new products with AVS integrations showcased at CES 2017, ranging from smart home products and refrigerators to smartphones and in-car automotive experiences. And today, we’re introducing the Logitech ZeroTouch to the extended family of Alexa devices. Device manufacturers with global reach can easily upgrade their connected products with Alexa and provide new product features and capabilities to UK and German customers. 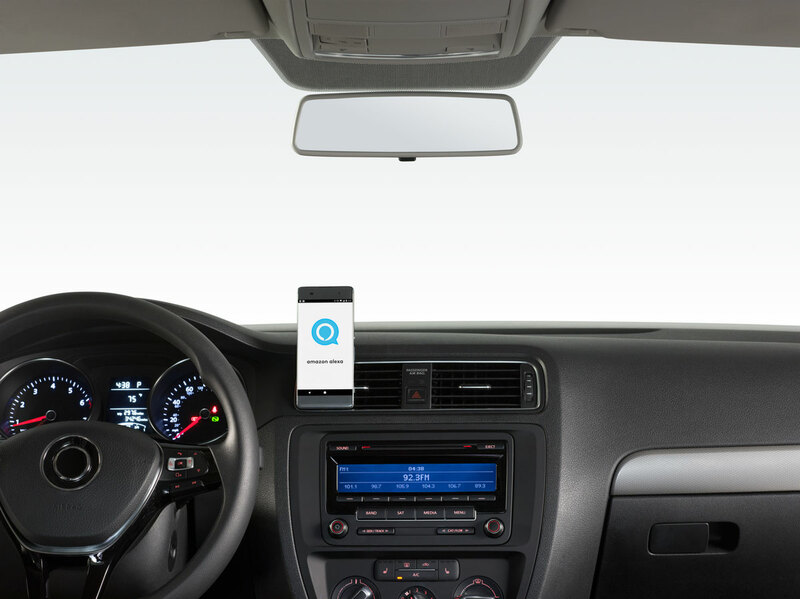 Logitech, a global provider of personal computer and mobile accessories, announced today that its ZeroTouch smart car phone holder and voice-command mobile application will integrate Amazon Alexa, adding new hands-free voice capabilities and services to the car. With new international compatibility, Logitech now leverage AVS to offer its enhanced ZeroTouch product in the US and UK, with German availability in the coming weeks. For developers building global products with Alexa, iQuarius Media has updated Echosim.io, a web-based AVS implementation, to demonstrate how Alexa sounds in the UK and Germany. Users can toggle between languages to experience Alexa in UK-English and German, as well as test multi-language or localized skills during the development process. Try Echosim.io for the UK and Germany.